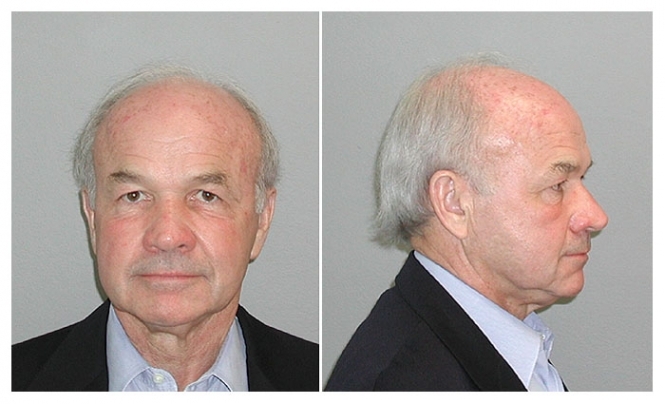 Kenneth Lay, former CEO and chairman of Enron, was photographed by the United States Marshals Service in July 2004 after he was indicted by a Texas grand jury on securities fraud, wire fraud, and making false statements charges. Convicted in May 2006, Lay was facing up to 30 years in prison when he died of a heart attack that July at age 64. Submitted by SpecialEd on Thu, 2011-06-02 21:50.